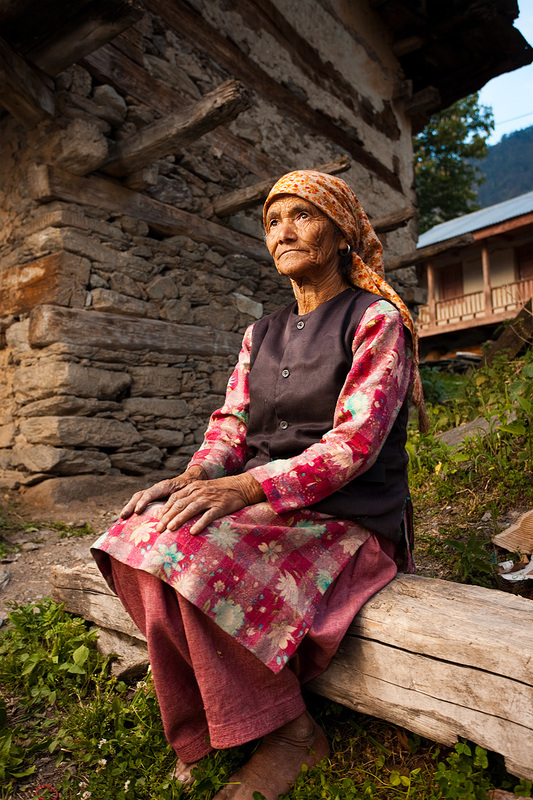 A local woman idles in front of her traditionally built house. 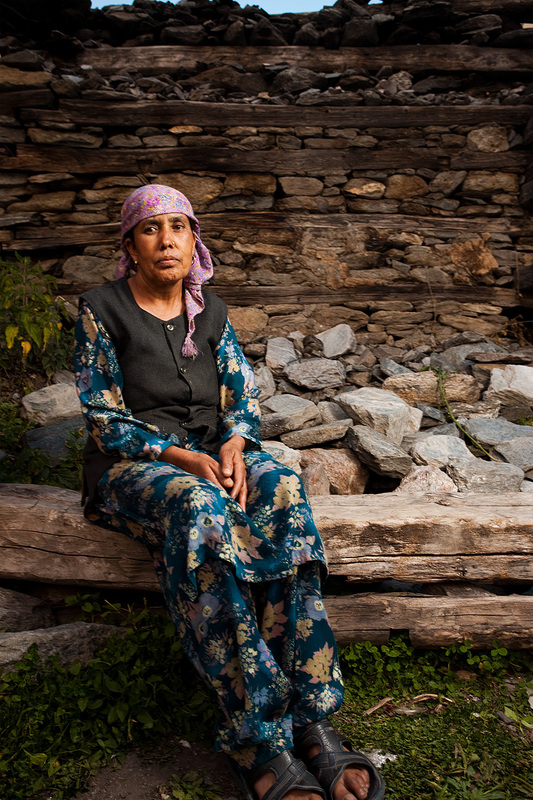 Local Indian woman in front of animal stable. Strobist: umbrella diffuser 45° camera right.